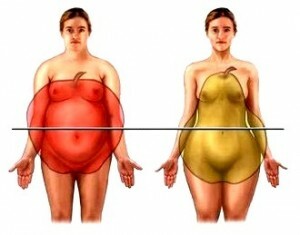 Apple shaped body is an indication of insulin resistance and higher cortisol (stress). You can also measure your insulin resistance through a blood test. The good news is that lifestyle changes can dramatically improve the balance of insulin in your body, and also have a good impact on other hormones - particularly the hormones that cause many menopausal symptoms. In fact, especially for middle-aged women, exercise that is too intense can raise cortisol levels, which in turn, can raise insulin levels, so getting creative with your exercise becomes more important as you get older. In addition to increasing moderate exercise, aim to increase your other daily movements. For example, park a bit further away, do the dishes by hand at the end of the evening, or even just stretch for a few minutes at home. Even little bits of activity can add up. Muscle strengthening (not excessive cardio) exercise is more effective at improving insulin levels than medication. If you’re wondering about your insulin levels, how your blood sugar is responding, and what it may be doing to your weight loss efforts, give us a call! 519 804 6949.